Caught the all New Mahindra Reva NXR 2012 doing some road test near Attibele on the Bangalore outskirts. 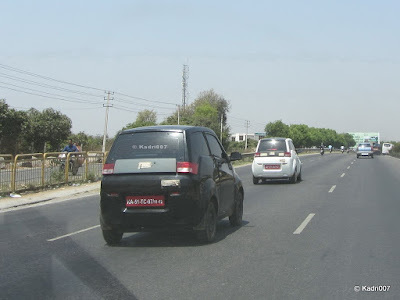 There were two Mahindra Reva's quietly running at around 70 KMS Speed!!!!!!!!.... Yes You heard it right Mahindra Reva was indeed plying at 70 KMS Speed. 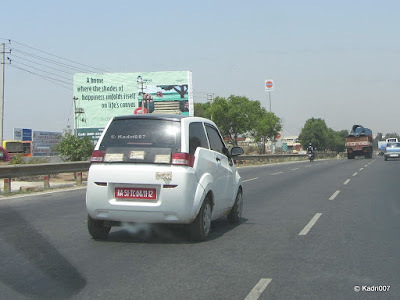 This is Surely going to change the way people think about Reva, from the tiny little car moving slowly in city roads. Here's the first electric car in India which can really do some decent speeds on Indian Roads. 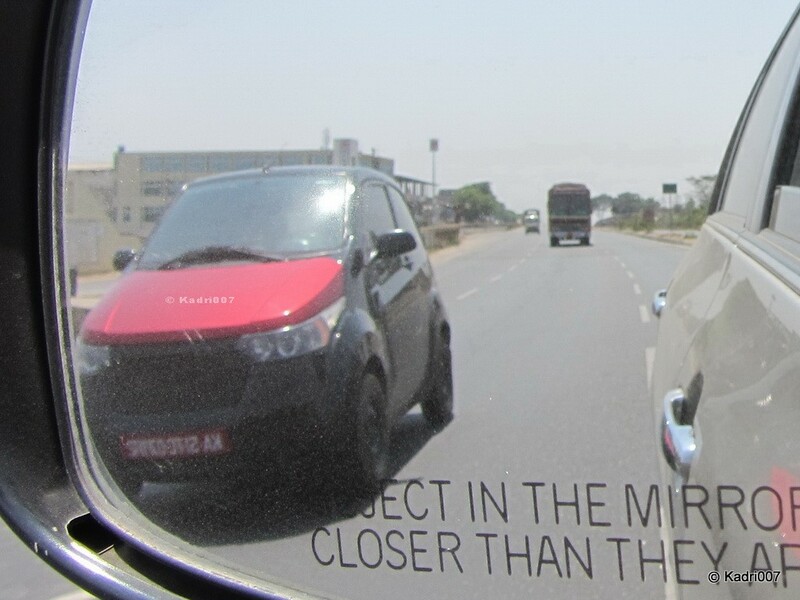 Mahindra Reva looks quite big indeed almost the size of a Zen Estilo. 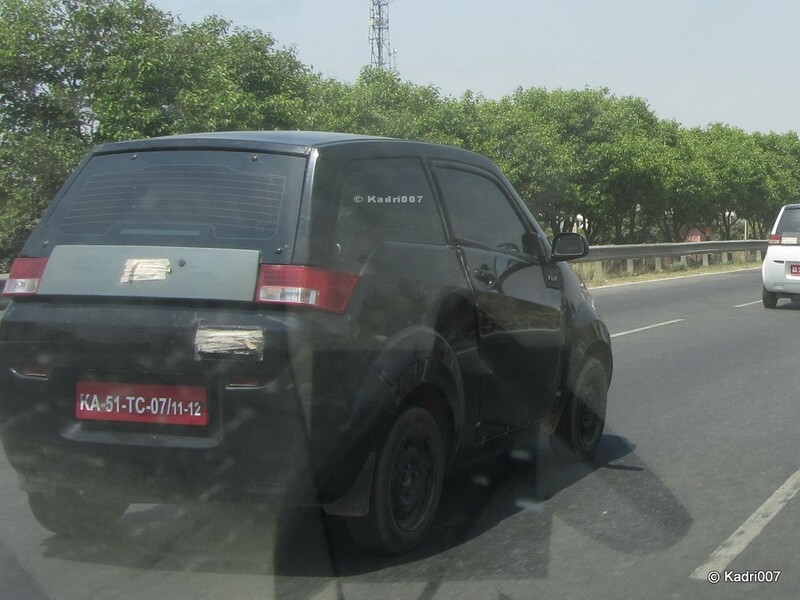 A bit of boxy looks, but it is way head than the old Reva. This is not going to be a so called toy car, but a real big electric car. 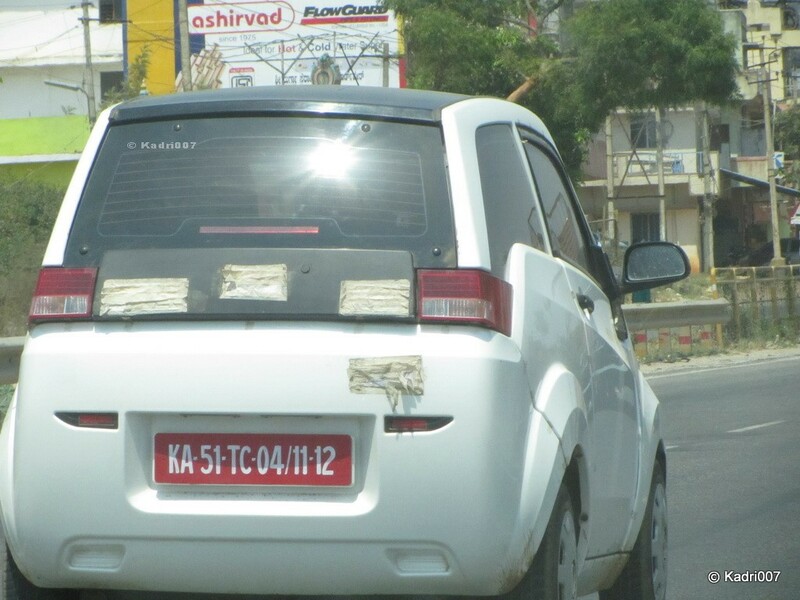 Only thing which needs to be watched is how Mahindra Reva would price this quite runner. From the rear the car looks quite big and has pretty decent looks. From the side the front half looks perfect but the rear side design looks a bit odd. The front looks good with a decent small bonnet. But what's more important is, its a non polluting electric car and its running cost would definitely add some smiles on your face. With the growing fuel prices almost month on month, Mahindra Reva would actually give a big relief to many of the Indian families who can afford to buy this car. 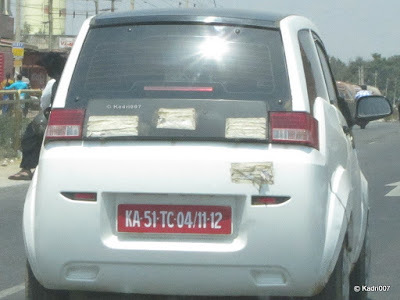 Its going to be more of a city traffic for daily commuting and not a weekend getaway car. Mahindra Reva is something to be watched for while considering to buy a new hatchback car for city drive.